At our school we do Secret Pal every year! We fill out a sheet about us and then draw names! I picked a 5th grade teacher that I am pretty close to. 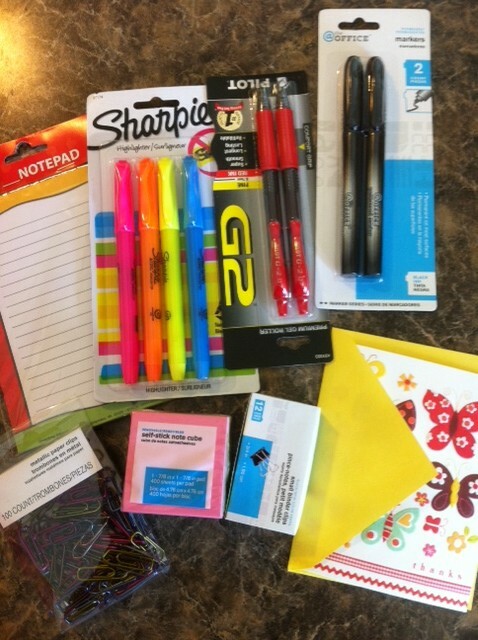 I usually try to start out with a back to school gift of some supplies they might want/need, but then I usually buy more personal items for other occasions. Here is what I got her today! Well, our first three days went GREAT! I really think I have a GOOD class this year! Last year I had a few behavioral issues, but I think this will be a good year! I do have some that may be a little bit of a challenge, but I know we'll manage! :) So far, being bucket fillers has been the BEST thing I've ever done in my room! 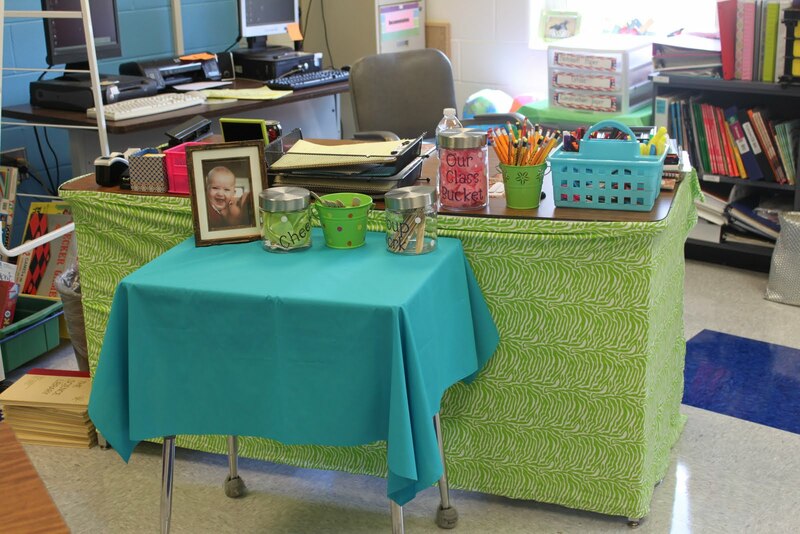 The kids love it SO much and I feel like it has really built classroom community! Also, the kids loved coming in Friday morning to see the books I had picked out for them. I gave them time to browse their books and told them if they didn't want any of the books I picked out to put them on top of the middle desk (supply desk). 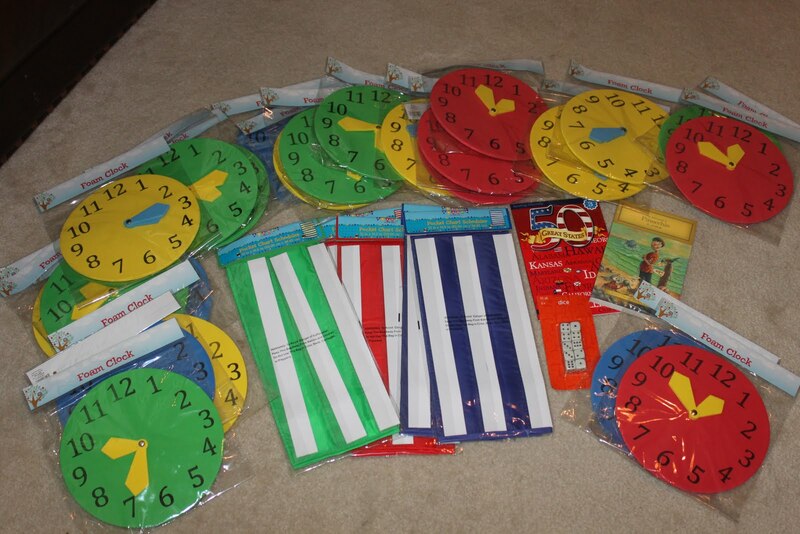 Then, I held each one up and talked about it and about half of the class wanted every book I held up! It was GREAT! We started independent reading, but only for about 10 minutes. We are going to build up to 25-30 minutes within the next few weeks. When it was time to stop and go to activity, the kids wanted to keep reading! That is music to a teacher's heart!! 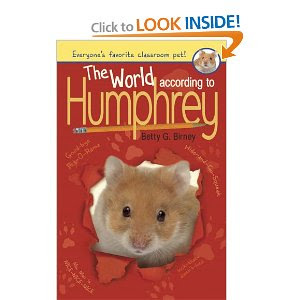 I have also started our first read-aloud "The World According to Humphrey"! Thanks Tara for recommending it! The kids are loving it! Every year I have always had students complete an Interest Inventory. This year in addition to the Interest Inventory, I had students complete a book choice form. (If I ever look into google docs, I'd be more than willing to share it!) It has three main parts/questions. "When you read informational books, what are you most interested in?" (I have a list and ask them to choose their top 3. Some things on the list are: animals, jobs, sports, weather, social studies, etc. **I can't remember how it's worded**, but something to the extent of "Tell me something else you enjoy reading about". It was short and sweet and gave me the information I needed. 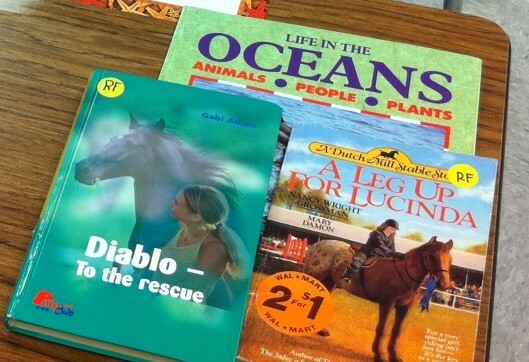 Last night I looked them over and circled/highlighted key words on each students book choice form. 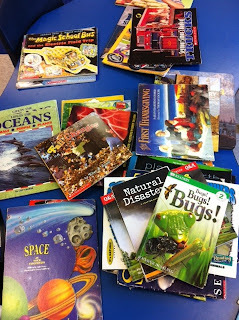 Today I looked through my classroom library and pulled out any books I thought a student would be interested in, based on the book choice forms and interest inventories. The most common responses were: animals, weather, and solar system. Some were broad and some were specific. One student told me she loved The Babysitter's Club (OH MY, that brings back memories, I LOVED them as a little girl! ), one student told me she loved anything history, etc. Here are some of the books I put into a big pile while I was searching! I was so excited when I saw the book "Bugs, Bugs, Bugs" because one little girl and her mother both told me how she loves to look at bugs, go exploring in the back yard for bugs, etc. I think she'll love reading it! This child in particular put that she loved horses and she enjoyed reading about the ocean. So, here is what I left on her desk this afternoon! I love the idea of a book frenzy, like in The Book Whisperer and we will spend some time talking about our books, exchanging books (if needed), etc. I felt like I needed to assist them in picking out books this time and talk about what good readers look/sound like. I am actually going to spend more time (lots next week!) on this and how to pick out a just right book. I'm excited to see what they think of their books tomorrow! I have had a couple of questions that I wanted to answer! First, Tara asked me about my blog design! Patrice over at Purrfect Blog Designs made over my blog design for me. She is AWESOME to work with and I highly recommend her! She is SO great to work with and is so talented!! She also re-did my other blog: Live, Laugh, Love. Click her blog button below to go to her blog. 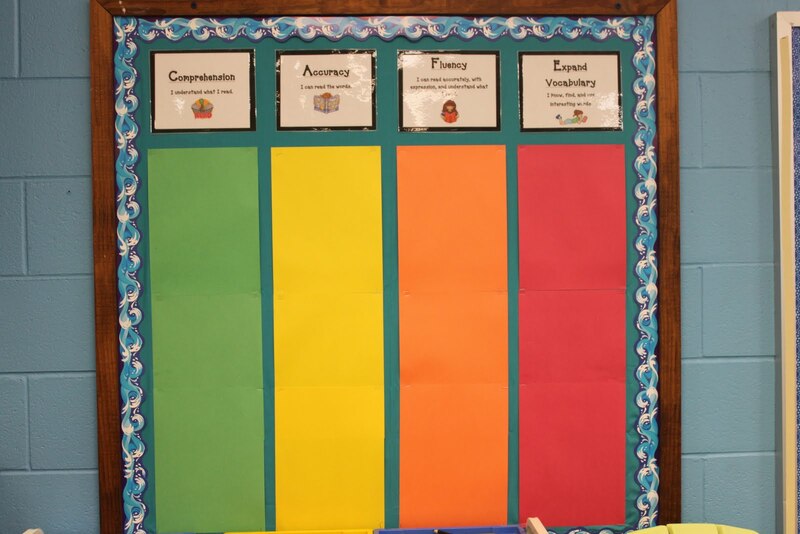 Another question was from The Shackleford's about how I did the vinyl on different things in my classroom! 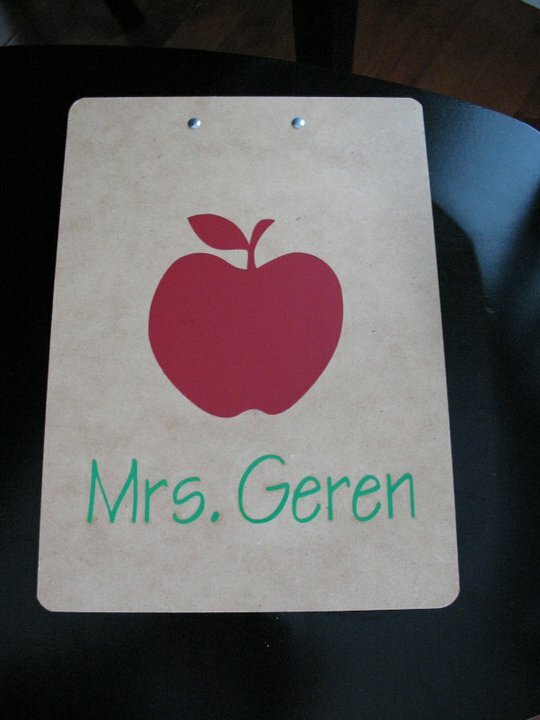 I have the Cricut machine, which can be used for a couple things. Lots of people scrapbook with them and that's originally what I got it for! You can buy it in the scrapbook department at Hobby Lobby. Then, you buy various cartridges. For what I did in my room, I think the cartridge called Alphalicious. It's so easy! All you do is buy the vinyl and follow the directions on how to use the Cricut machine! 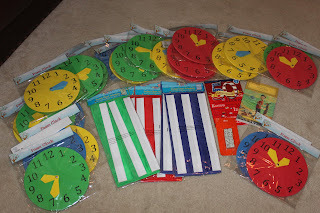 FIVE charts, 2 books, dice, and a class set of foam clocks! The lady behind me in line said "You must be a teacher!" Haha! Today we had a teacher work-day in our room (with no meetings, which is SO nice!) and I have gotten a lot finished. I completed my CAFE board and am pleased with how it turned out. I also took this fabric I bought and used it to make my desk look a little more attractive! Just add Velcro and voila! We have Open House (Meet the Teacher night) in just an hour and a half! I am excited to meet my new kiddos! I have finally ALMOST got my room ready! Our first day with students is next Wednesday so I still have a little time and it seems like my list just keeps getting longer! 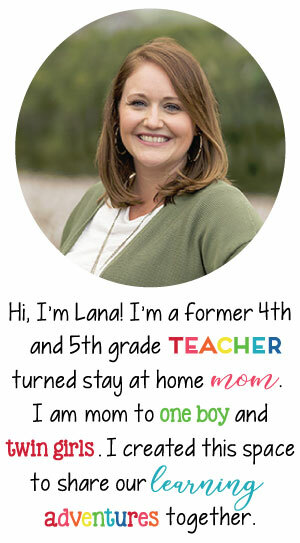 But, I am excited to give you a tour of my classroom! The starfish on my door has my students names on them, but it is hard to see in this picture! This is the view as soon as you walk into my room! This year I re-did my big bulletin board and made half of it a word wall and the other half a focus board. I wish my last row of letters on my word wall had more room, but I'm not going back and changing it right now. We'll see how it works! This is also my reading area. I am loving the green adirondack chairs I added this year! This is part of the back of my room and the only storage I have. I wish I had a little more, but it works! For the class jobs I will have my students names on clothespins to move around! This is the view if you are standing in the back of the room! I love my Smartboard! This year I am trying a new book checkout. I am hoping it will work well! Basically when a student picks a book, they will go their pocket and write down the information on their index card. Once they finish the book, they will cross it out and start over. I am also implementing bucket filling this year! 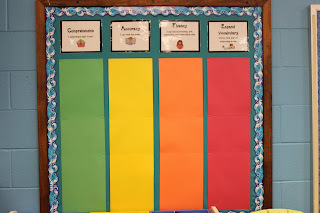 I am SO glad I found this idea on various teaching blogs! I think it will be GREAT for my students. I am excited to get it started. I would love to have another smaller bookshelf to hold my picture books. I have so many that it's hard to even browse through them! And, here is my little area!! Does anyone else's to-do list look anything like this?! At least I got a lot crossed off today! But, of course more is added!! I have one bulletin board left to do, which will be my CAFE board! I am excited to get that started, too! Hope you enjoyed your tour! 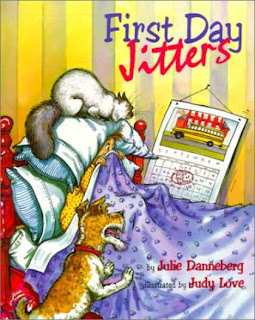 I have really enjoyed reading professional literature lately. I enjoy learning as much as I can to make myself a better teacher and to help my students as much as possible. 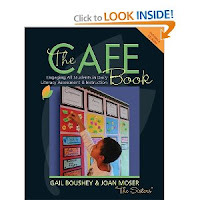 I know I am SO behind on this, but last year I was just introduced to "the sisters" by doing a book study on the CAFE book. Today I attended a professional development about how to incorporate the CAFE into your classroom and I will be using the CAFE this year! I'm excited to see how it works! I haven't read The Daily 5 yet, but I really want to! I hope to get to a bookstore this weekend to buy it. 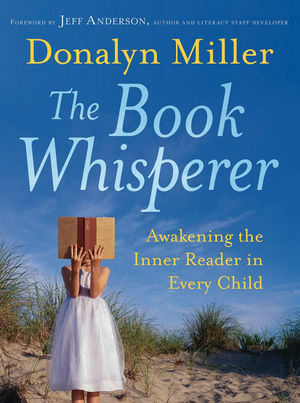 I've seen on so many teaching blogs the book "The Book Whisperer". I bought it and LOVE it! I am only through Chapter 4, but I've already learned so much that I want to use in my class! If you use the CAFE or Daily 5 and want to leave tips or suggestions, I would be GLAD to hear them! 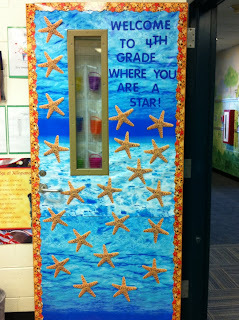 I hope to put the final touches on my classroom SOON and will be blogging them soon! Hey yall! 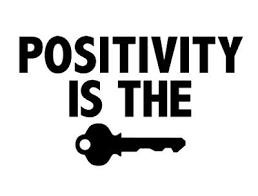 Well it is my first post here at For the Love of Teaching! I wanted to show you a few pictures of how I use vinyl (with my Cricut machine) in my classroom! One of my best friends, Emily, gave me this adorable clip-board that is personalized using vinyl! I love it and have already started using it! Below you'll see three glass jars. The one labeled "group work" will hold wooden sticks with my students names on them. I use them when calling on students or when putting them in groups. Our class bucket will hold pom poms and will go along with my bucket filling. The cheers are silly little cheers that we will do throughout the year! I found this cute beverage tub at Target and am using it to hold my clipboards! Note: This was not my idea...I found something similar on a blog and I cannot for the life of me figure out where. If you read this and have something similar, please let me know so I can give credit where it is due! The one I got my inspiration from was dark blue with white letters and pink dots. I liked the beverage tub so much that I went back and bought another! This year my class has activity (PE, art, etc.) right before lunch so I knew on the day they go to the library they would be coming to lunch with 20+ books. So, we will carry our book tub to and from the library to hold our books! Last year we had to pack up EVERYTHING at the end of the year and my poor, little homework organizer didn't make it so I've had my eye out for something else. I bought this clear 3 drawer organizer and labeled it using vinyl. Each morning when students come in they will turn their homework in here. What things have you put vinyl on?